Der Artikel Speedbuggy USA: Kick Out The Twang wurde in den Warenkorb gelegt. Speedbuggy USA isn't a band that you can keep down. Their last release, South of Bakersfield, came after a seven-year hiatus that had front man, Timbo, surviving and healing from a brain aneurism. 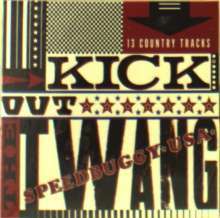 Kick Out The Twang follows a year in which he had a major house fire just weeks before the band left on a seven week European tour. Kick Out The Twang shows just what this band can do in the face of adversity. 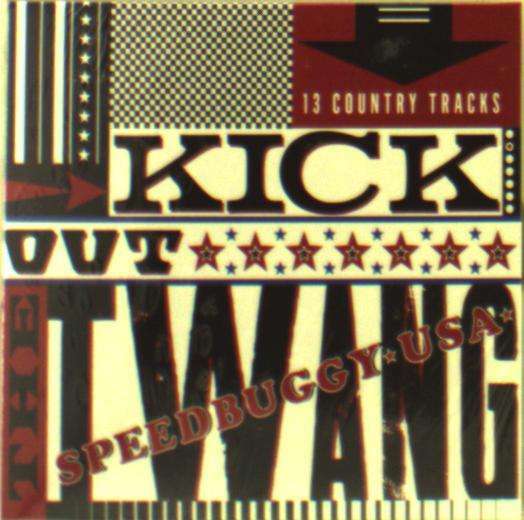 Speedbuggy USA was one of LA's pre-eminent cowpunk bands and you can hear that influence on Kick Out The Twang. It's an eclectic album of Americana, roots, country, rock, soul and blues. Dipping in between sad honky tonk ballads and rocking cowpunk songs, the record is comprised of 11 original works and 2 cover songs; »The Last Train To Clarksville« (Tommy Boyce and Bobby Hart) which kicks off the album, and »Unchain My Heart« (Robert Sharp and Teddy Powell).